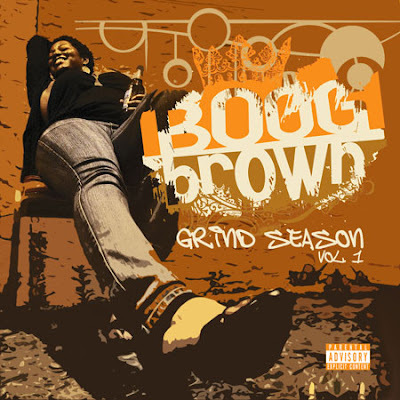 In anticipation of her upcoming album, The Brown Study, with Detroit producer Apollo Brown, Atlanta-based MC Boog Brown entices fans with a taste of things to come on her latest mixtape The Grind Season Vol. 1. A collection of music that features production from Illastrate, Lex Boogie and 14KT, inlcuding appearances from staHHr, Fluxwonda (of Binkis Recs), and more. "Grind Season is a state of being," says Boog on the meaning behind the mixtape's title. "Every day you must grind for your vision. Mine is making honest music." 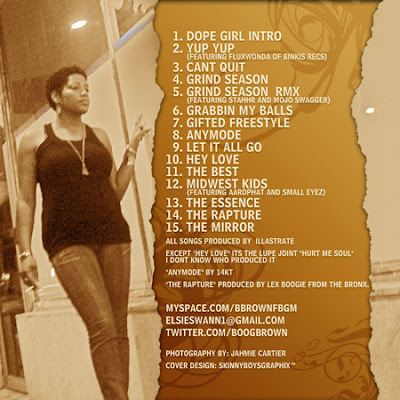 Tracks on the mixtape, including "Grind Season," "Anymode," and "The Essence" serve as perfect examples of Boog's smooth flow and propensity for delivering strong rhymes over laid-back beats. It's all the reassurance you need that, as Boog herself says, "The Boys Club is non-existent to me."